The Glasgow Roofing Service’s expert teams ensure the correct installation and maintenance of your slate and lead roofs. The Glasgow Roofing Service we specialise in all your slate and lead work needs. Lead and slate roofs are typical in Scottish roofing as they’re so durable. It’s especially common that older properties have these types of roofs. Though highly durable, slate and lead roofs sometimes need some maintenance every so often as roofs are prone to wind damage causing slate tiles to come loose. Proper precautions undertaken by Scottish roofing installers against condensation will ensure that lead sheets will provide a long lasting, maintenance free covering to your home. Our specialist roofers in Glasgow, Hamilton and Edinburgh are equipped to deal with all your slate and lead work needs, using latest slate roof installation methods will give your roof a long-lasting and watertight with a lifespan of 80 to 100 years. Slate roofing has been used in the UK for centuries, but due to lack of transport methods it was only ever used as roofing in homes close to the quarries that supplied it. This all changed however during the industrial revolution when slate was able to be mass produced. The Scottish climate is well suited for slate, not to mention the many Scottish quarries that provided local slate to cities throughout the country. While many quarries created standard sized slates, many were produced in a variety of size and thickness, no Scottish slate has been produced for over 50 years. When repairing slate roofs in Scotland it’s important to take care of existing slate when repairing roofs so as not to damage what’s still intact. Our expert tradesmen have a passion for slate and will inspect your roof to ensure where possible matching dimensions, thickness and size are maintained; though sourcing original slate is sometimes possible, the majority of the time new slate is required. Where possible, you should repair a slate roof rather than reroof it completely; this maintains the original character of the property and also saves money. 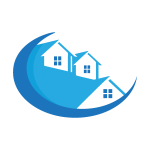 The Glasgow Roofing Service will consult with you every step of the way to ensure the right decisions are being made for your slate roof repair and maintenance needs throughout Glasgow, Edinburgh, Perth and Aberdeen. 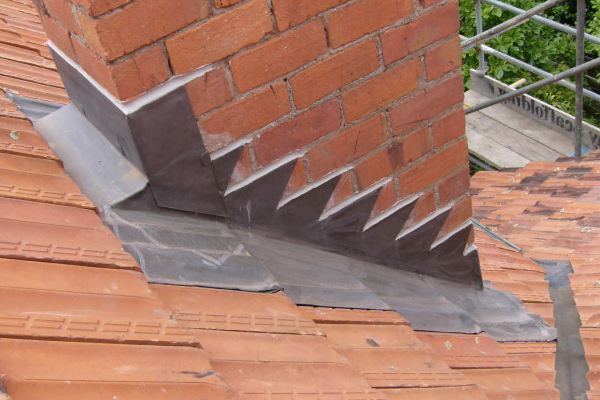 The ridges of slate roofs can be easily damaged, so it’s important they are treated carefully. Lead is often used over the ridges as protection. When dealing with delicate slate, the Glasgow Roofing Service always endeavors to use like-for-like products to maintain the aesthetic of the property. Our expert and highly skilled tradesmen ensure all fixings are secured to the highest degree to help the smaller slates near the top of the roof. Slate roofing is a huge part of Scottish heritage, and at Glasgow Roofing Service we take pride in understanding the material and its traditions. Our experts treat this material with a great amount of respect when undertaking and repair or restoration work. Our aim is to be sympathetic to the slate’s surroundings and undertake all maintenance so it lies seamlessly in the roof. 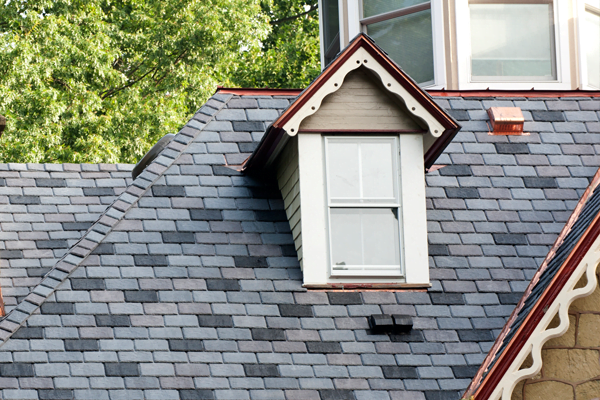 By contacting us and having expert hands deal with your slate roof and maintenance needs, you’ll be sure to not only have a beautiful aesthetic but a durable safe roof. Lead sheeting is an extremely durable material and has been used in construction for over 200 years, though can be susceptible to corrosion due to condensation. Lead is known for its highly effective insulating abilities; metal roofs can offer up to a 40% reduction in energy costs in the summer, and up to a 15% reduction in the energy costs in the winter. Lead sheet is a reliable material. In the expertly trained hands of our staff that have years’ experience in lead work, using lead as part of your roof construction it will not only enhance the aesthetic appeal of a building but will keep your home warm and dry for years to come. Maintained properly by roofing experts it will continue act as a hard-wearing protective roof to your property. All lead work carried out by the Glasgow Roofing Service meets the Lead Sheet Association (LSA), we are proud to provide an impeccable standard for all our lead work. Our specialist tradesmen have a vast knowledge of this material and understand its nature incredibly. Lead sheeting has been used for centuries because it’s so durable and some are still constructed using original methods of casting molten lead on a bed of sand, this is used especially when restoring period buildings where authenticity is paramount. The Glasgow Roofing service has repaired Scottish lead splits for a number of years, by welding over them sealing the damage. In recent years, high winds throughout Scotland has resulted in lead flashings and guttering becoming weak and exposing poor existing workmanship.